jariah is using Smore newsletters to spread the word online. The significance of the conflict was that it had a devastating effect on British morale, whilst increasing American confidence. 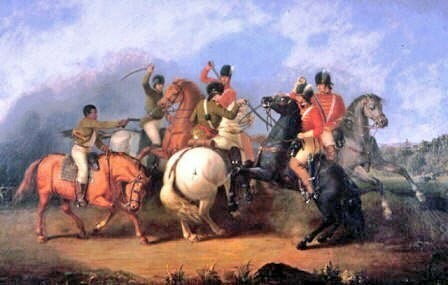 The Battle of Cowpens, together with the King's Mountain, caused Lord Cornwallis to pull troops from South Carolina and move them farther north, leading to Yorktown and eventually the end of the Revolutionary war. The Battle of Cowpens took place on January 17, 1781 in South Carolina, close to the border. This battle is said to be the turning point of the entire war. The Americans took a victory at this battle. Even though it wasn't a very large battle over 40 british officers well killed and 829 soldiers were captured. Only 12 Americans were killed but at least 60 were injured. The battle lasted less then an hour! This battle gave the Americans the energy and hope they needed for the other battles to come.